Perfect Christmas Tree Farm is teaming up with the community to create an event that inspires a commitment to preserving the natural environment. Perfect Christmas Tree Farm calls on everyone to come out on April 28, and take part in all the fun learning activities happening throughout the day. It all begins with a Reuse Market starting a 9:00 AM. Vendors and exhibitors line the path to the “Make-do Theater” where starting at 10:00 AM a presentation by Leena Waite of America’s Grow-a-Row and at noon, a showing of the movie “Frozen Planet,” begins. Polar bear leads cubs. Still photo from Frozen Planet. Children’s Arts and Crafts lead by Leah Lauback of Kid Coral at the Warren County Farmer’s Fair helps youngsters decorate discarded metal cans and fill them with strawberries plants. Perfect Christmas Tree Farm created an original Earth Day coloring book, perfect for the youngest children. In the barn find the Drum Circle, beating heart pounding rhythms that anyone can join in. Joining professional drummer and teacher, Ejvind Boccolini, Drum Circle leader, are members of the Phillipsburg Community Drum Circle, Drums On Fire. No musical experience is required to participate in this very informal musical experience. Anyone may start a rhythm. Warren County Freeholder Richard Gardner is bringing his grown children’s 4 H project, a cow and her calf. There is also a goat and some chickens as well as chicken eggs hatching in an incubator, for everyone to see. 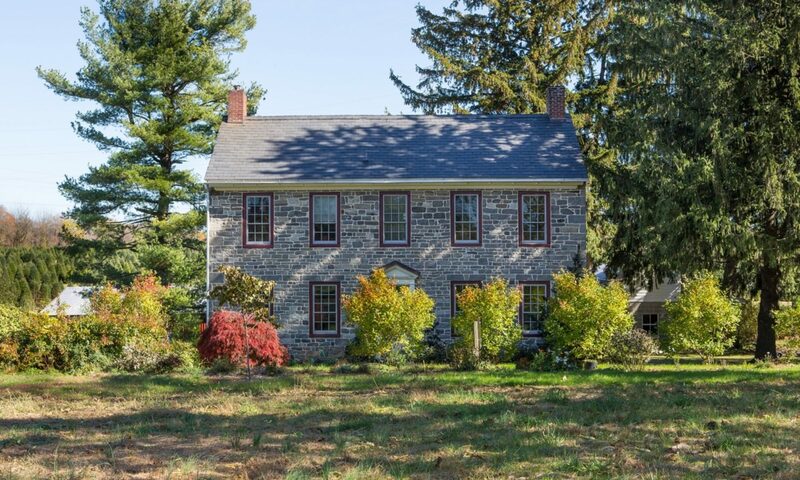 The 1780 stone farmhouse is open to tour all day. Make Seed Bombs in the original kitchen, in front of the 9 ft stone hearth. These balls, made of heirloom wildflower seeds from D. Landreth Seed Company, red clay, worm castings and water is a technique of natural farming developed by Japanese microbiologist Masanobu Fukuoka in 1938. Carmen Pirotte of Earth Worms Plus conducts a workshop on the side porch. Recycled plastic tubs donated by Greenwich Shop Rite and the Pohatcong Stop & Shop are repurposed as vermicompost bins. Make one and take it home and have worms eat your garbage. They cast off rich organic fertilizer for the Earth. A speaker’s corner, soap box and all, is set-up near where the hay wagon picks up passengers. Take the microphone to voice your opinion or speak your mind for up to 5 minutes. The hay ride through fields where 42 varieties of Christmas trees are growing, begins every hour or more often, if needed. Walk the fields on foot for healthy exercise. Bring a four-legged friend on a leash. Perfect Christmas Tree Farm is a dog friendly farm. Food is available or bring your own picnic lunch. Be one of the first 50 to come to the Earth Day Celebration and get a free Norway Spruce transplant. Join your community leaders, 4-H clubs, boy and girl scout groups and garden clubs, already on board. Be a part of the Billion Acts Of Green and raise awareness of our love for and duty to our planet Earth. The farm is centrally located at 999 US 22, in Loptcong, NJ. Take Interstate 78 to exit 3 and go 2.5 miles. Parking is free. For more information go to http://perfectchristmastree.com or call 908-387-1225.